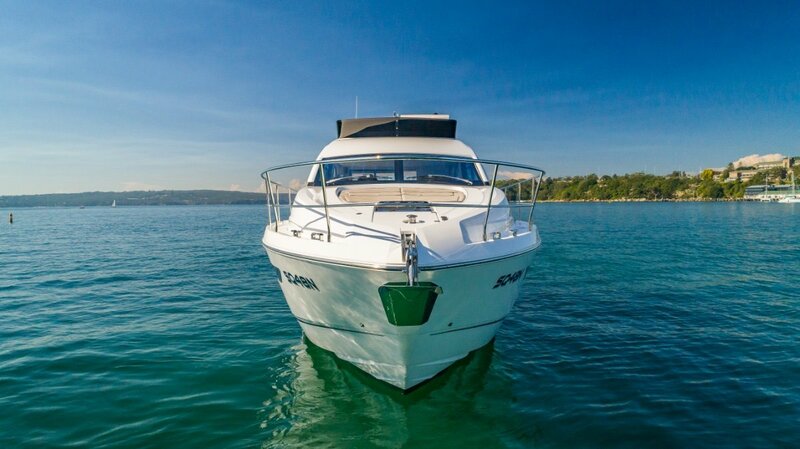 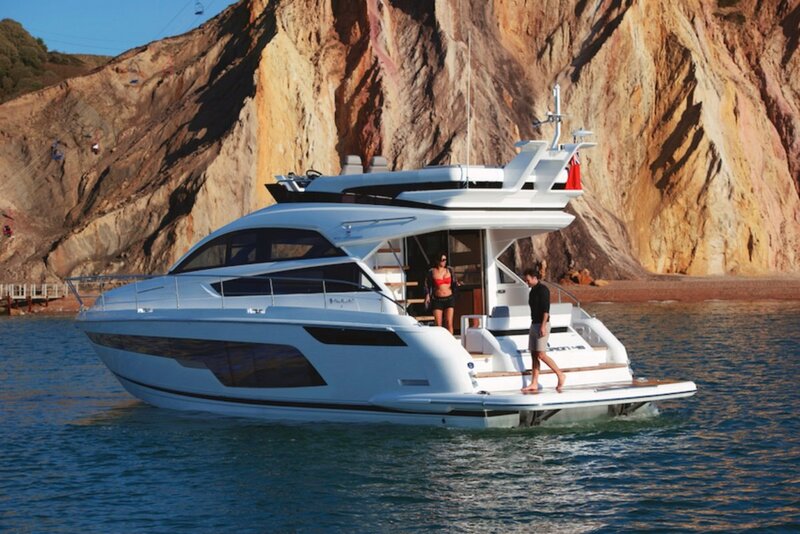 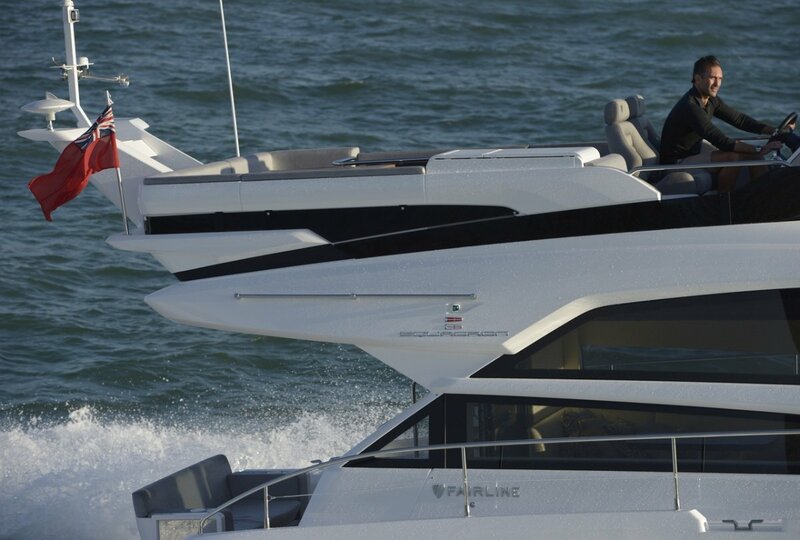 The submersible bathing platform offers a delightful way to enjoy the water and can also accommodate a jet tender. 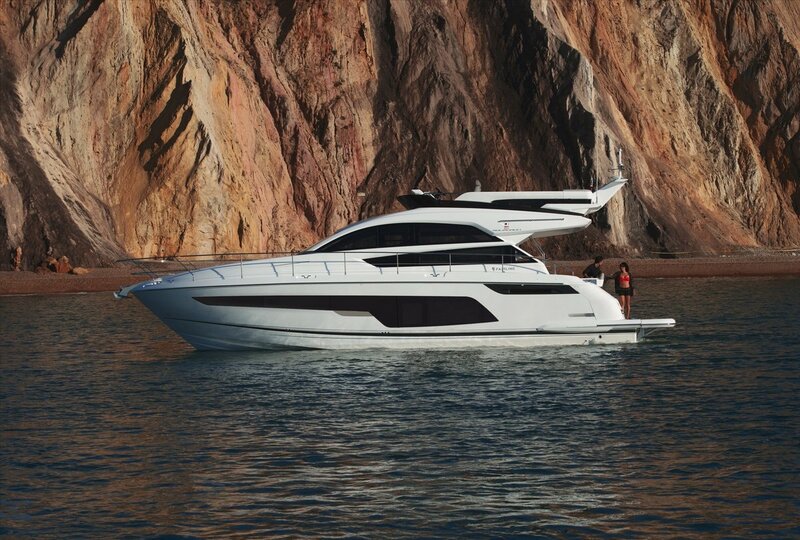 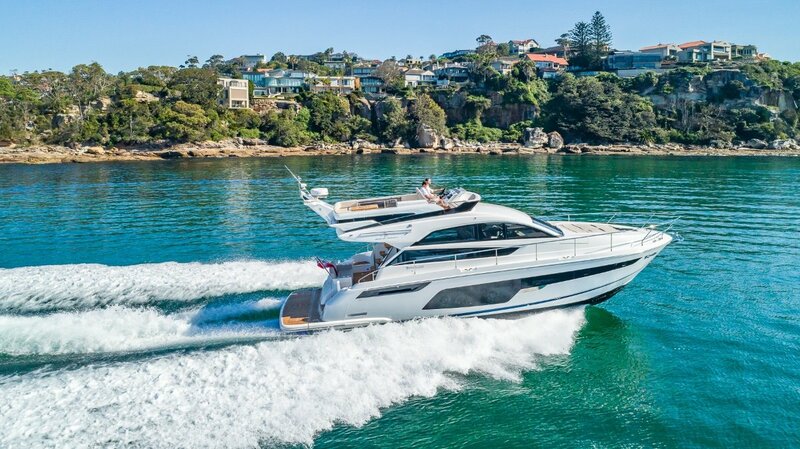 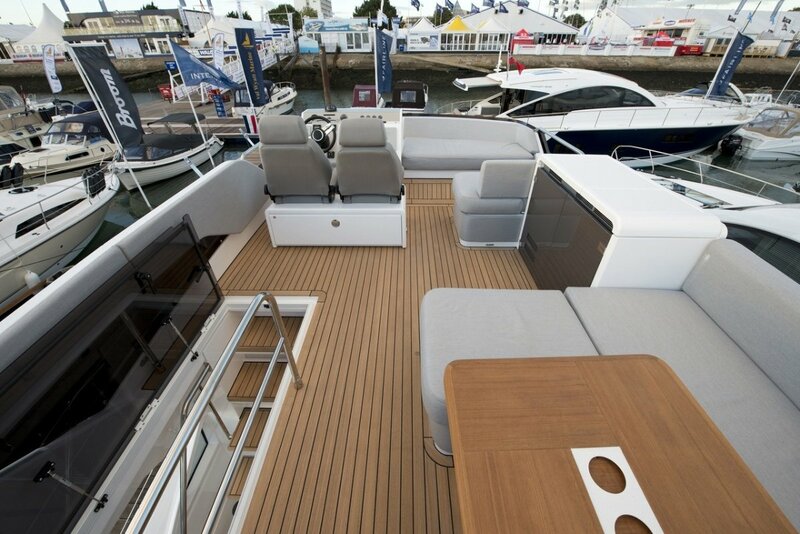 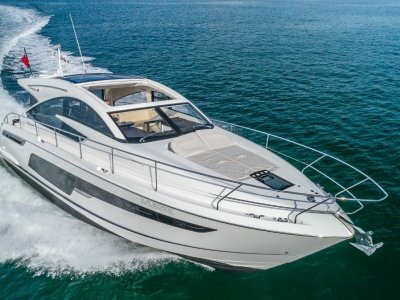 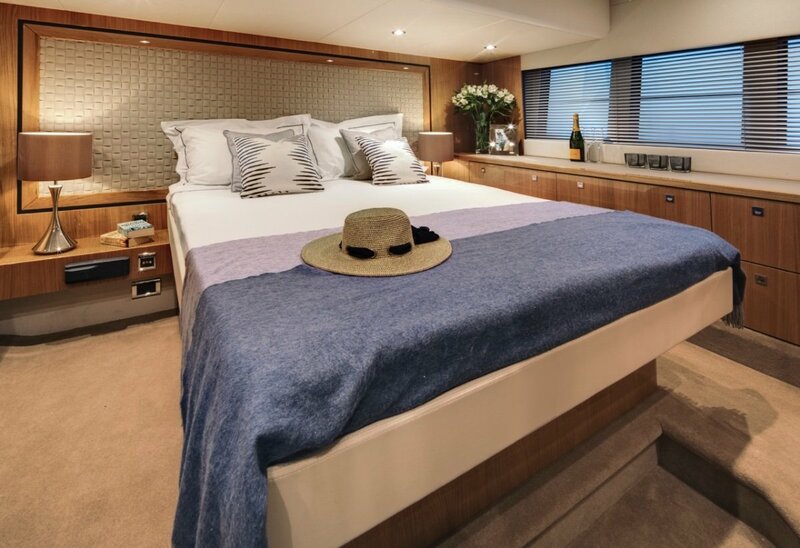 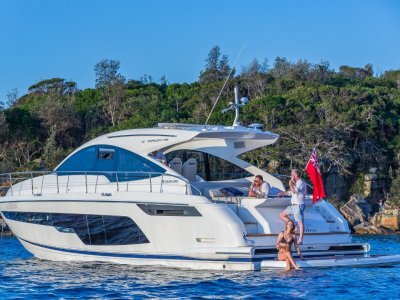 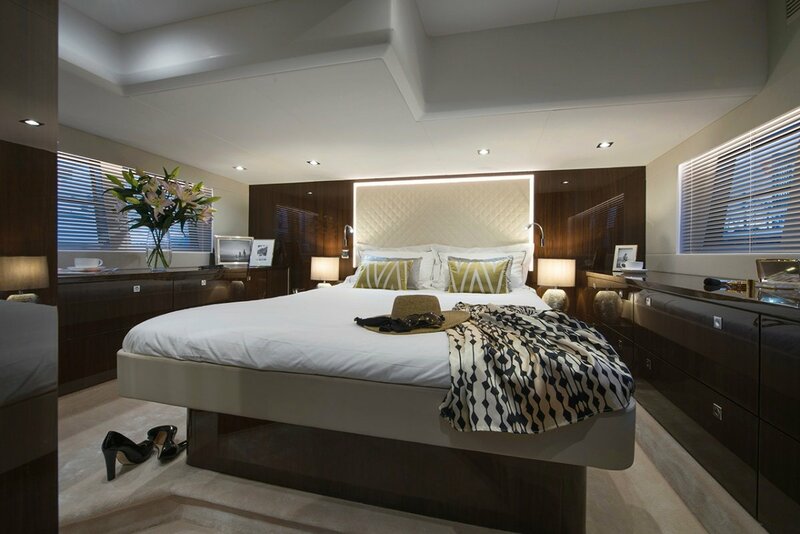 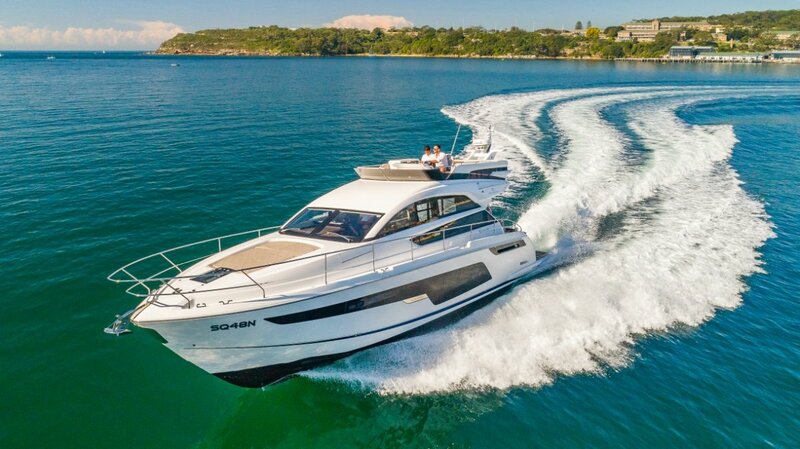 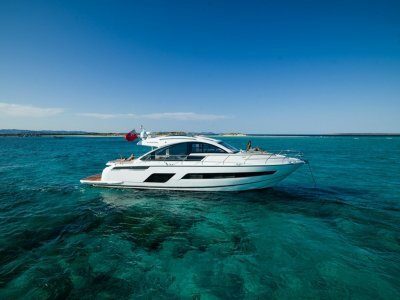 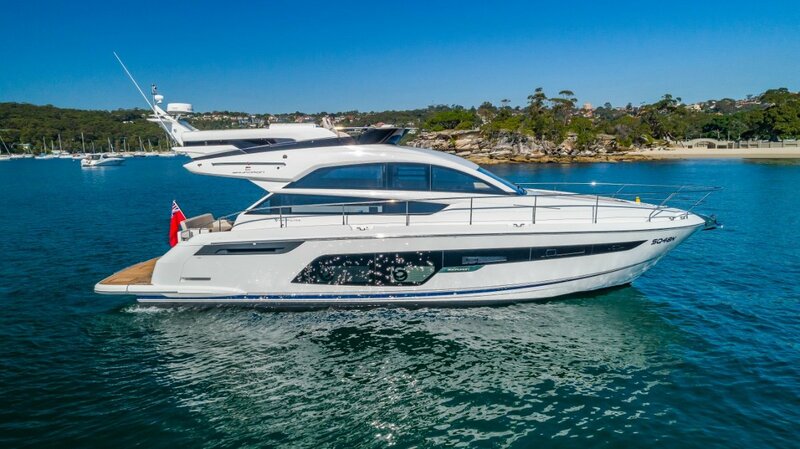 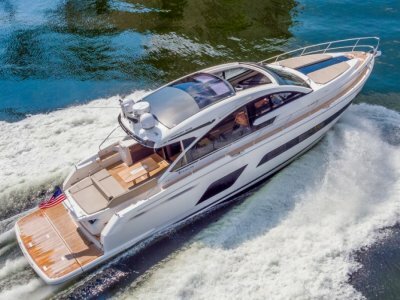 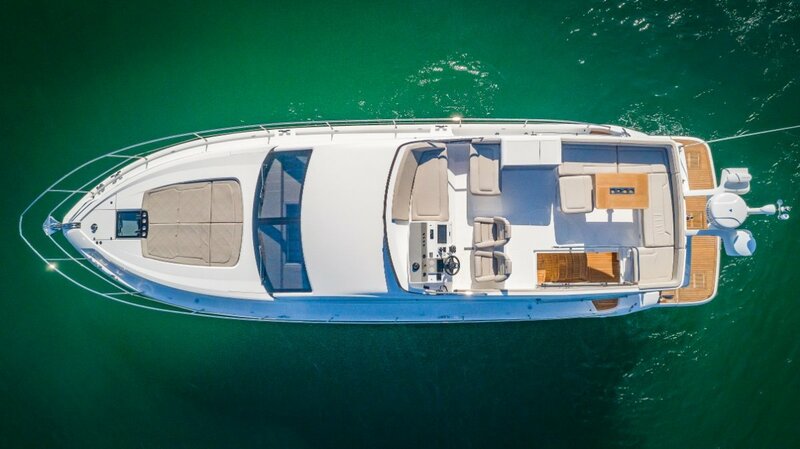 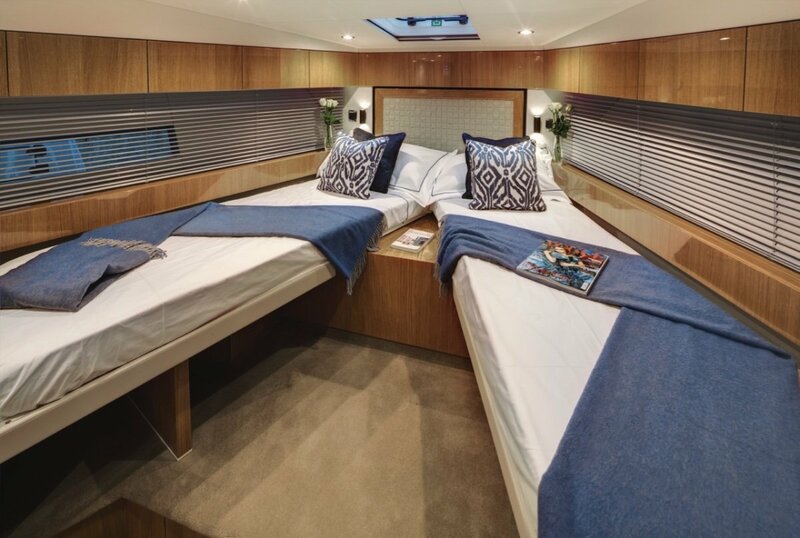 Move through to the large welcoming saloon and you will find relaxed seating areas to both port with aft galley to stbd an option. 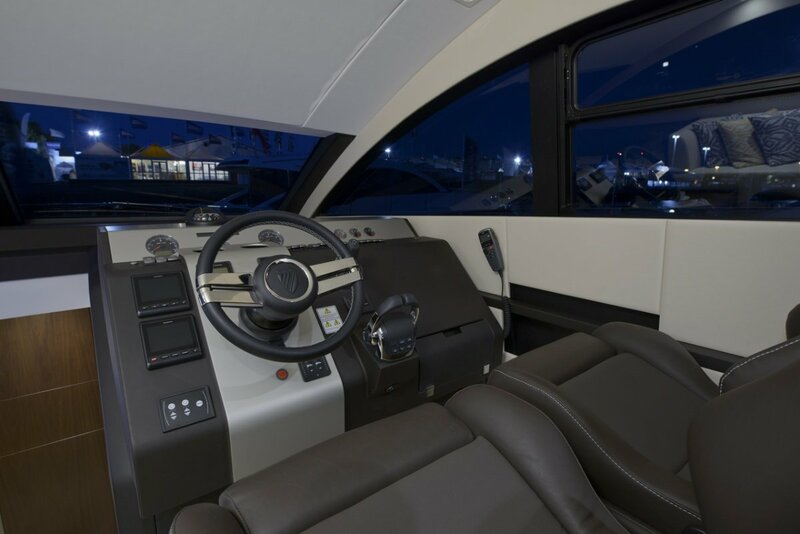 The forward-facing companionway seating alongside the helm. 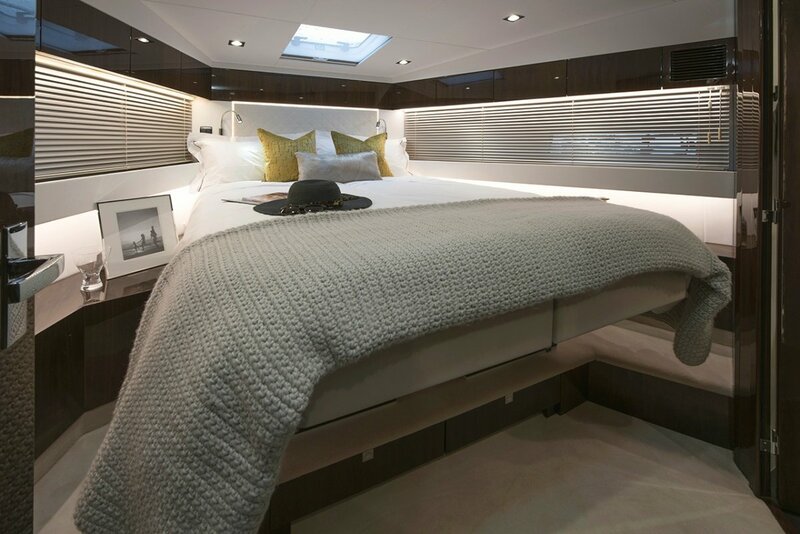 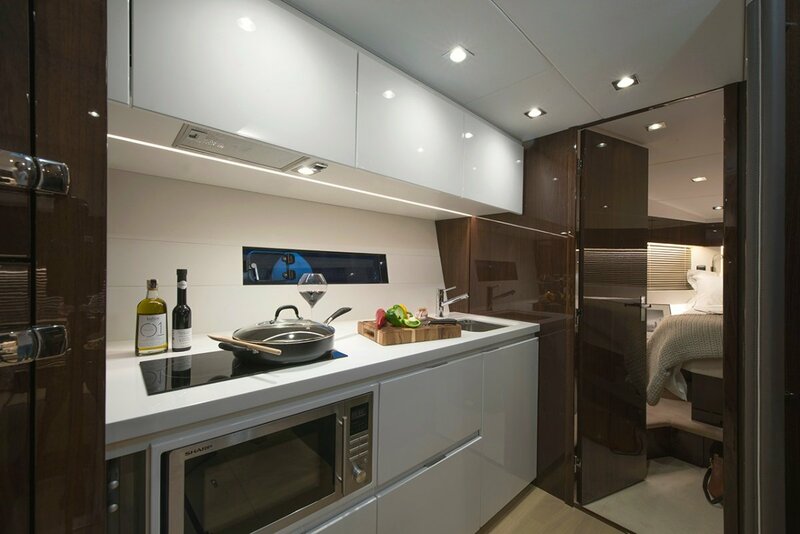 The naturally illuminated galley is carefully considered and perfectly specified. 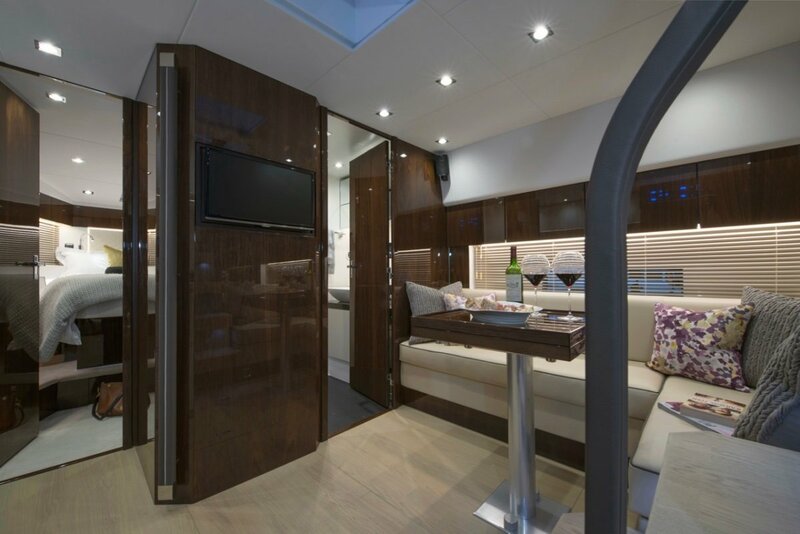 Below, the three cabins reflect the Squadron's unmistakably high standards; with the flexibility of a dinette option in place of the third cabin.